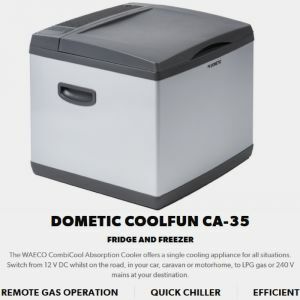 A compact portable unit for the car, this cooler is a cost-efficient luxury for everyone to enjoy. 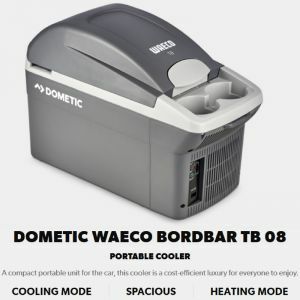 Enjoy your breaks with the Dometic BordBar TB 15 while on the move. This elegant car cooler harmoniously blends with the interior of most vehicles. Keeps your snacks and drinks cool, and your chips and hamburgers warm. The thermoelectric cooler is easy to use and always at hand.